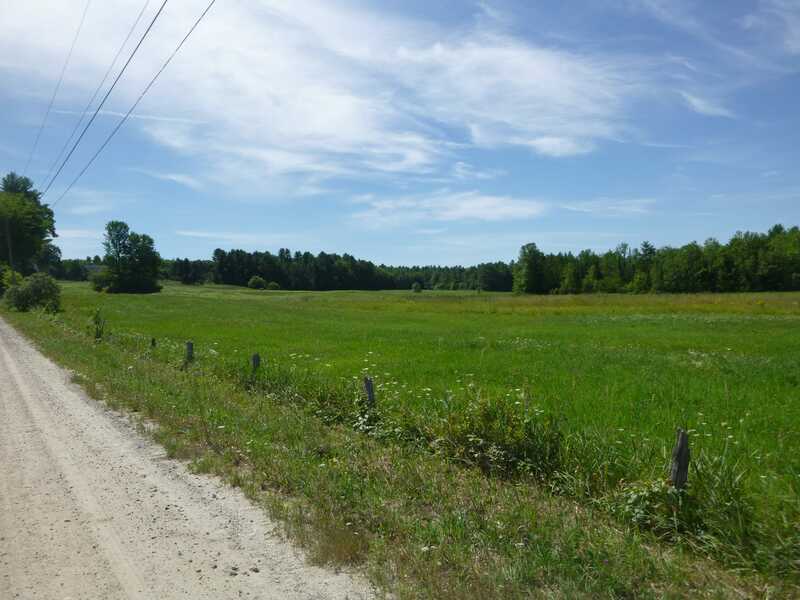 Maine Farmland Trust will soon be looking for a farmer to purchase 143 acres of land in Windham. MFT recently bought a portion of the former Clark Farm, which includes 37 acres of open fields and excellent frontage on Swett Road. The farm will be protected with a conservation easement and sold to a farmer at a reduced price. The property, which does not currently have any infrastructure, is located between Swett Road and Webb Road. There is extensive road frontage that allows good access to the fields along Swett Road and forested land access along Webb Road. Approximately 98 acres (70% of the property) is designated as either Prime Farmland Soils, Farmland Soils of Statewide Importance, or Farmland Soils of Local Importance. Windham has a strong agricultural past, but given its proximity to Portland, the remaining active farms are threatened. This is MFT’s second Buy/Protect/Sell project on Clark family land. In March 2011, MFT, in collaboration with The Trust for Public Land and the Windham Land Trust (now the Presumpscot Regional Land Trust), purchased, protected, and sold 217 acres to Clayton Haskell, who still currently owns the farm.